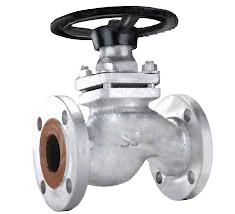 We are a reputed organization engaged in offering a quality range of industrial piston valve. These valves are energy saving isolation valves, which are useful in preventing all kind of leakages. These valves are appreciated by our valued clients for the features like less maintenance , leak proof & durability. - Due to Gland less, seat less valve 100 % leak proof, bubble tight seal is formed. - No leakage of toxic / media .Stay tight during thermal expansion. - No erosion on piston gives durability. Economic & easy to service & low maintenance. - Sealing rings easily replaced on line. Replacement of rings not required grinding / lapping required. CF 8 ( SS 304 ) , CF 8M ( SS 316 ) & OTHERS. - PRESSURE RATING CLASS : ASA 150 , 300 , ND 16, ND 40. - SIZE RANGE : 15 mm TO 150 mm.